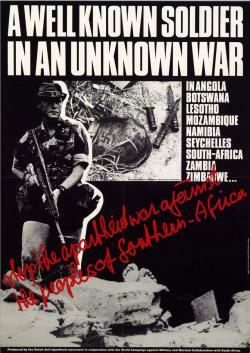 Poster produced by the Dutch Anti-Apartheid movement in collaboration with the World Campaign Against Military and Nuclear Collaboration with South Africa. Size: 59.5x42 cm. This item was digitized by the International Institute of Social History in the Netherlands, which made it available to the African Activist Archive.